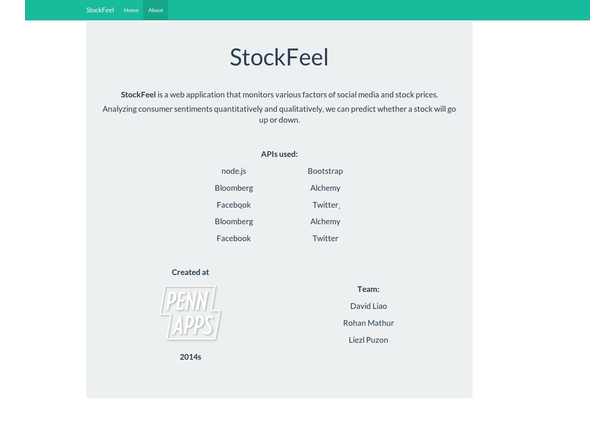 Web application that monitors various factors of social media and stock prices. 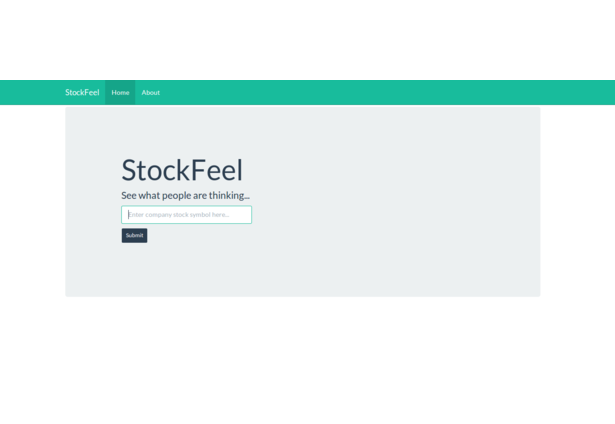 Analyzing consumer sentiments quantitatively and qualitatively, we can predict whether a stock will go up or down. Comments for this submission are closed. 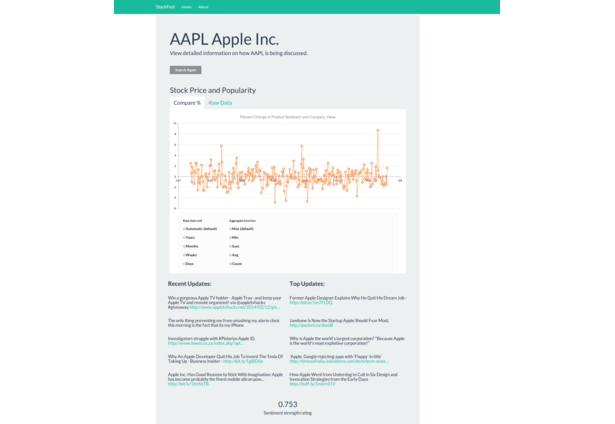 View the software in mathur's portfolio to continue the conversation.